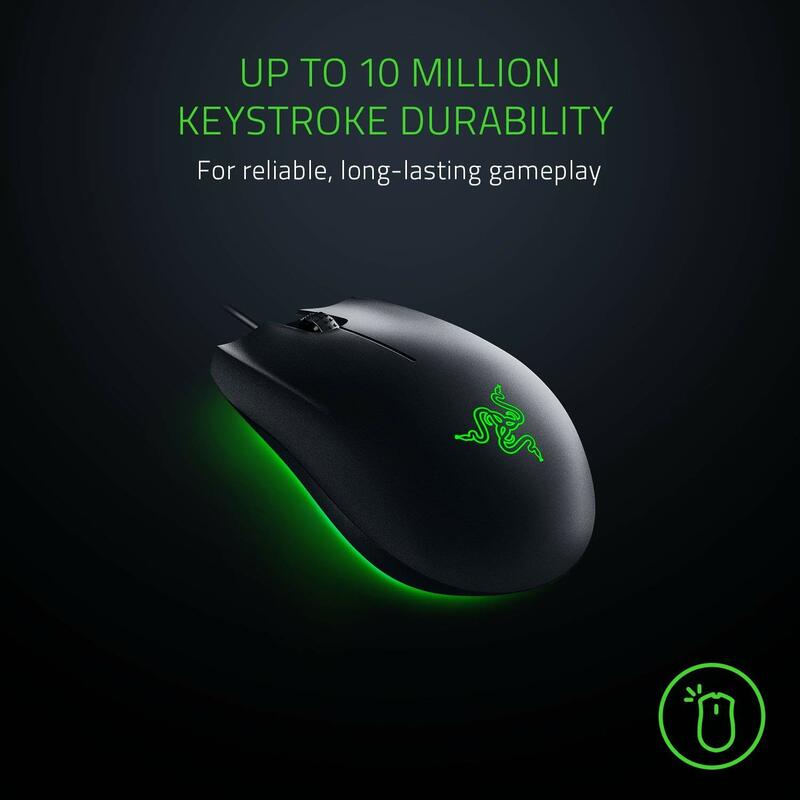 Razer is heading out into their second foray of the mobile phone market, but that isn’t stopping them from releasing more gaming peripherals. 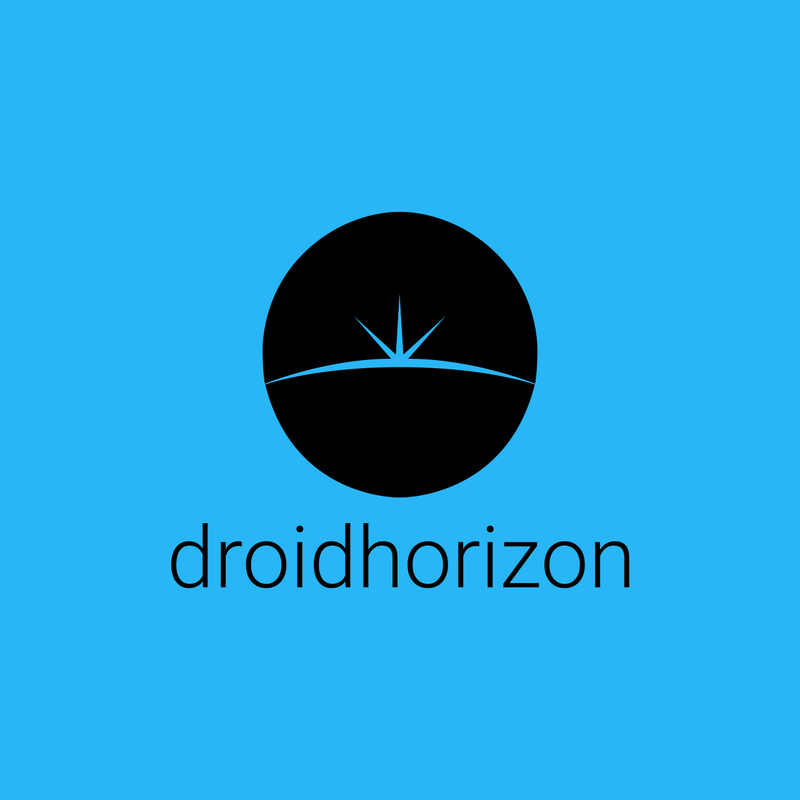 They were very nice to send some to the Droid Horizon office for us to check out. 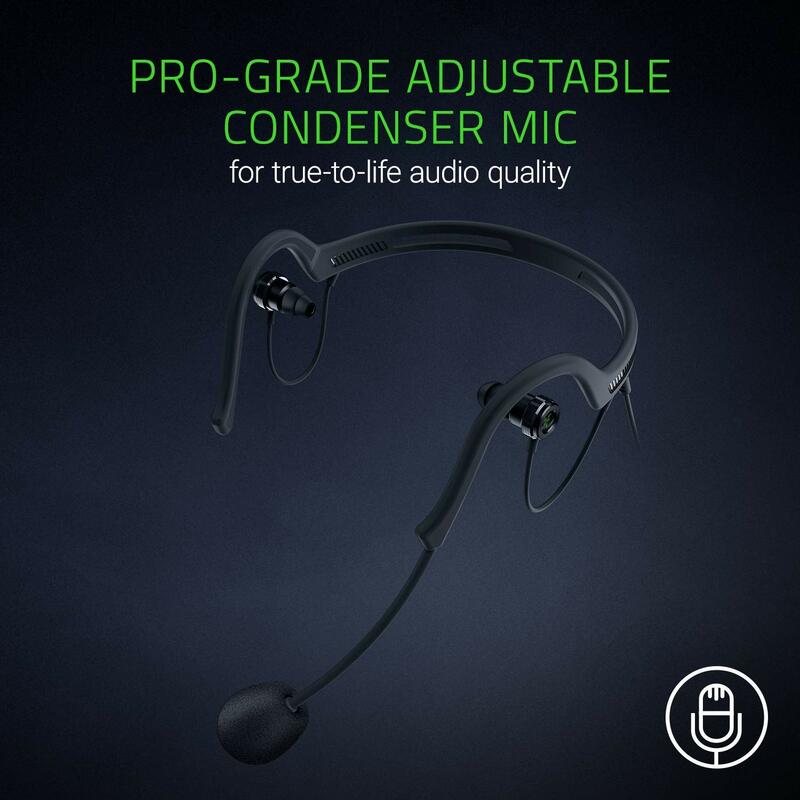 A new headset specifically designed for streamers – it’s an ‘earset’ design with cardioid cheek microphone, and compatible with any device using a 3.5mm jack. 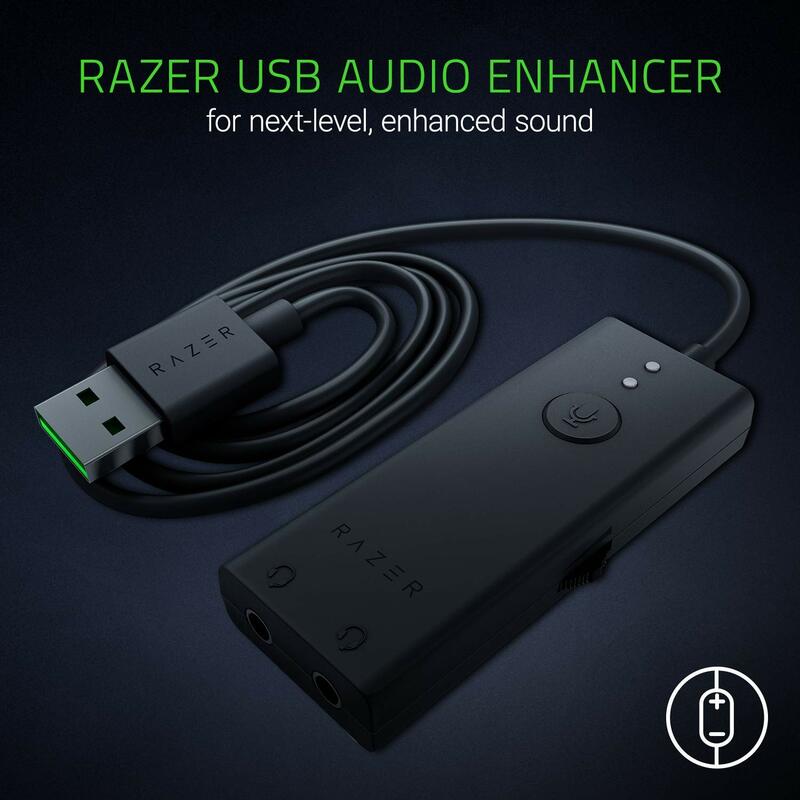 Included in the box is a USB Audio Enhancer which controls volume input/output and allows you to connect two Ifrits (or any other headset) to the same system. 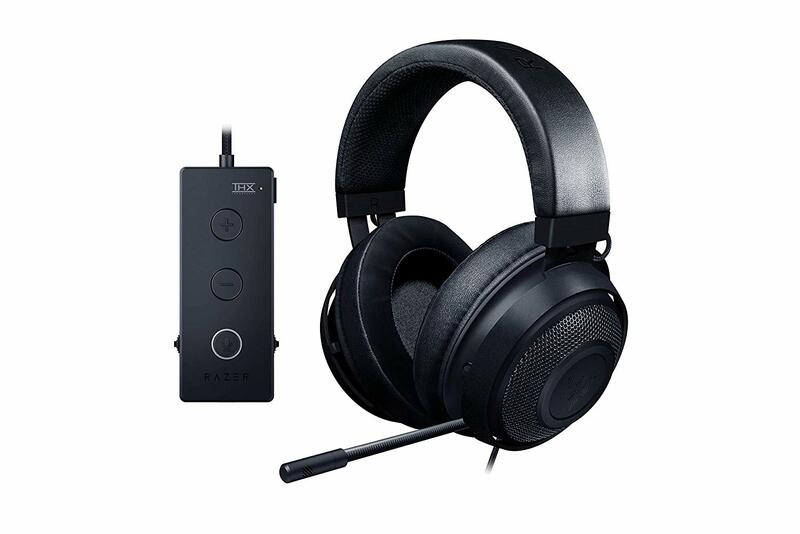 This is perfect for mobile streamers, streamers that need more freedom and don’t want to use a bulky headset or be tied down by constantly having to keep the microphone near their mouth to be heard while they move about. 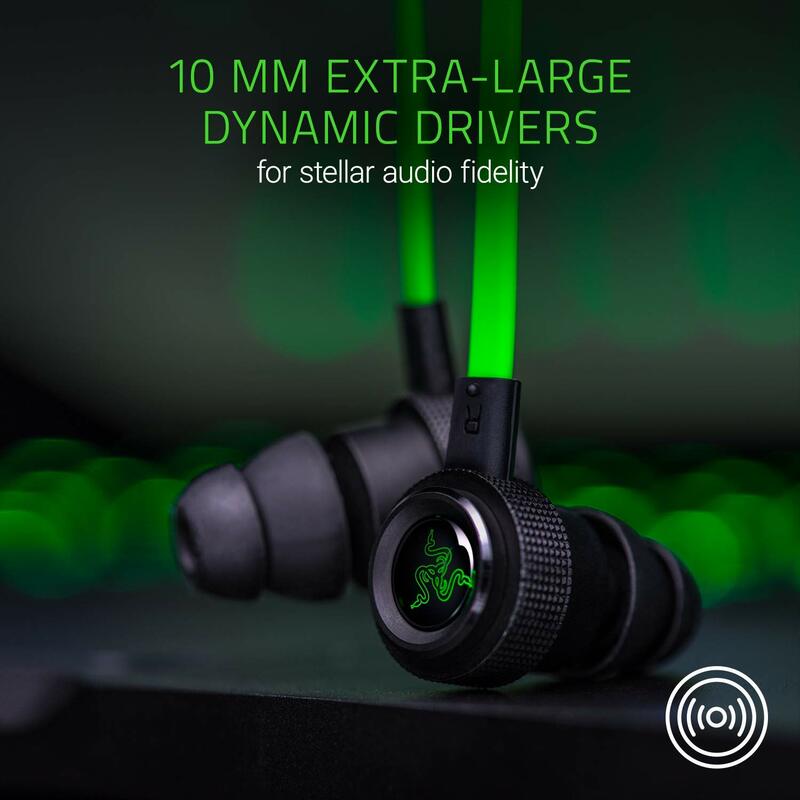 The latest iteration of our best-selling headset, the Kraken TE now features custom-tuned 50mm drivers and THX Spatial Audio, a completely new type of surround sound experience using object and environment conditions to create a far more intuitive, realistic soundscape. 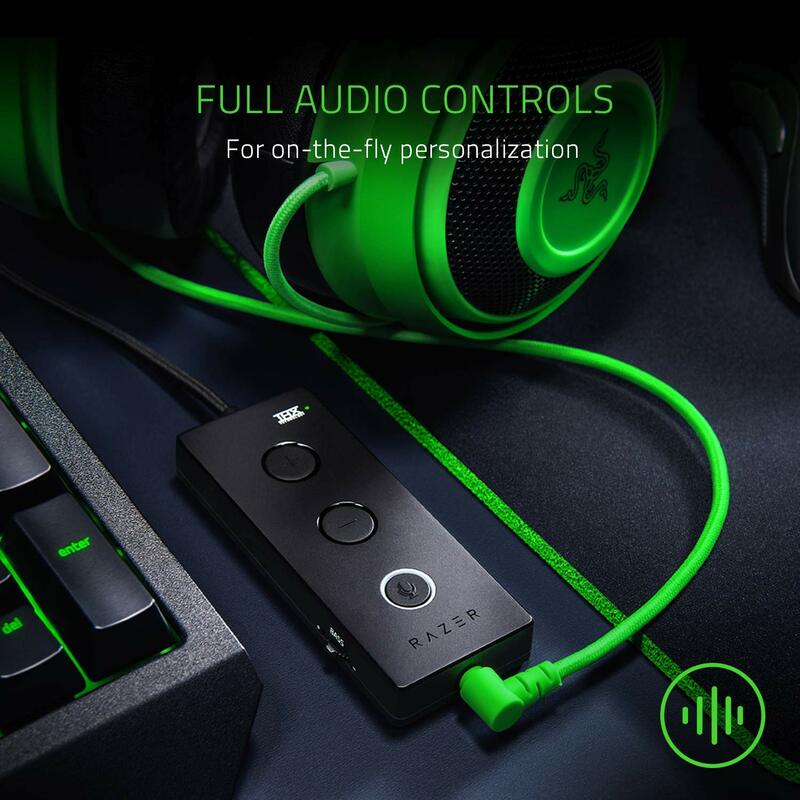 The Kraken TE comes with a separate USB controller so you can tune your headset for the perfect balance of bass, volume and game to audio balance, along with enabling THX audio. 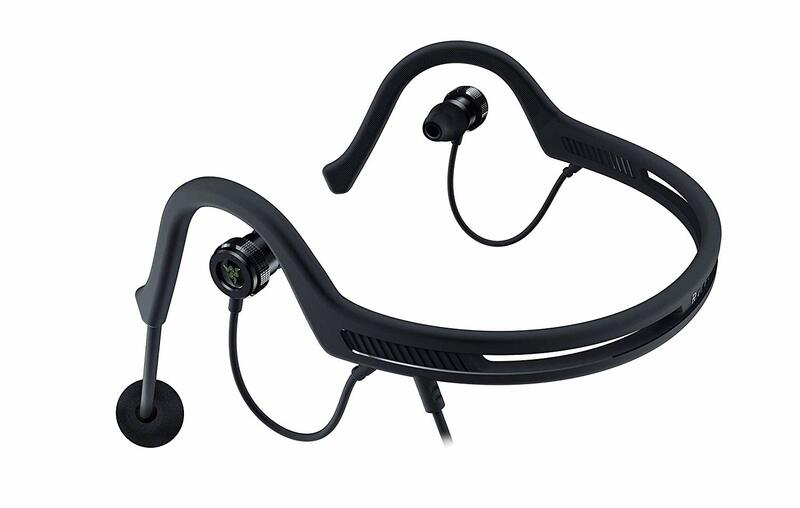 User comfort comes from a new earcup design with a fabric contact area, covering a gel cooling layer and our lovely spectacles channel for those who wear glasses. Ok, so the 3.5mm jack on phones is a contentious point – some want them, others don’t care… but you would care if you had a set of Hammerhead USB-C earphones. 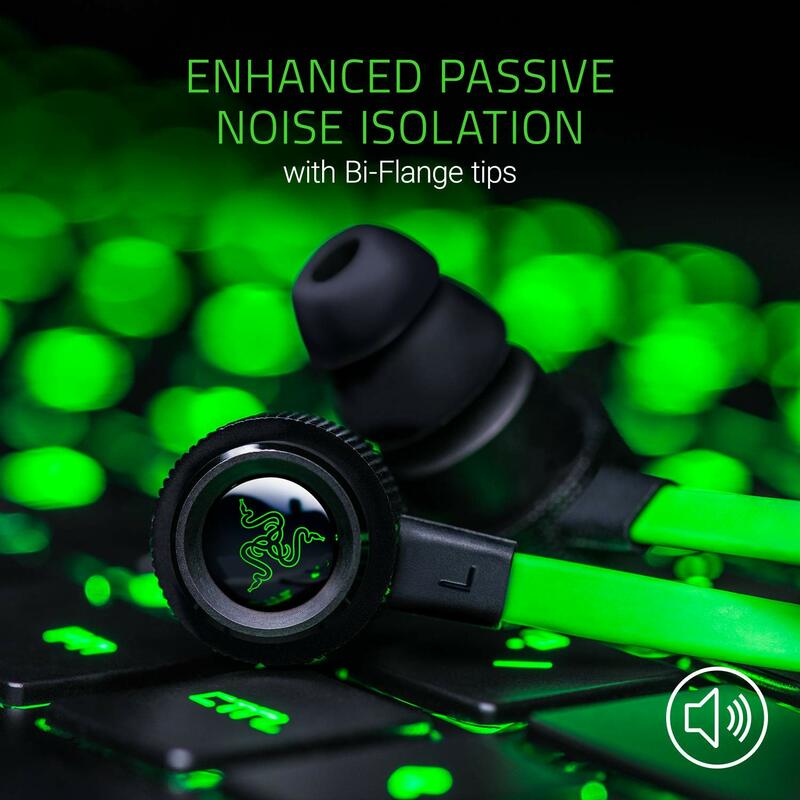 With plenty of basses, noise isolating earbuds and, most importantly, a LIT Razer logo on each earpiece, not only will you have awesome tunes (plus the ability to make hands-free calls), you’ll look mighty fine while you’re doing it. 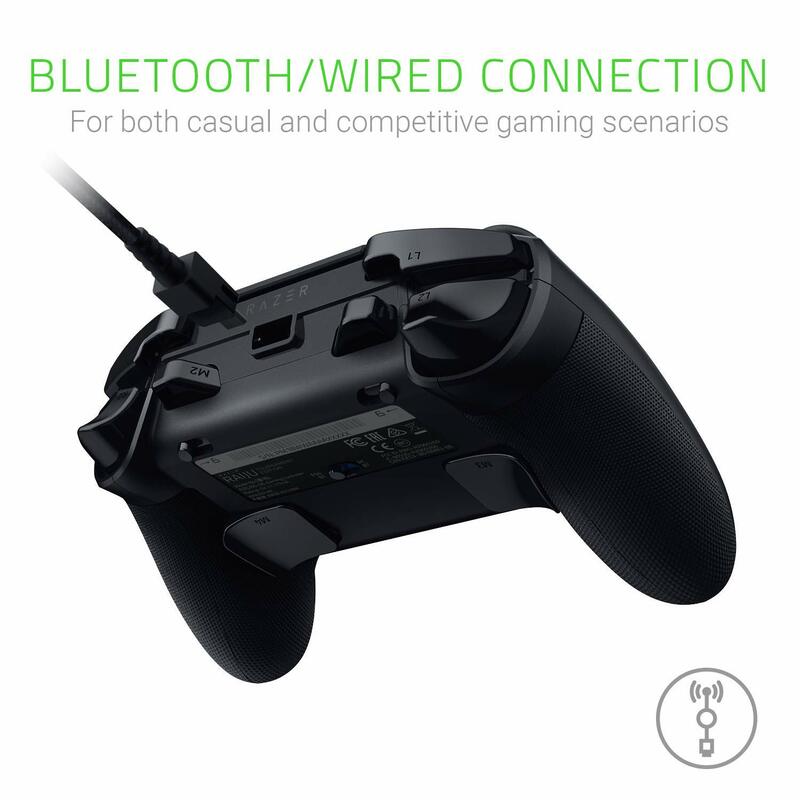 The little brother to the Raiju Ultimate, the Raiju TE shares the same multi-platform, multi-connection abilities, but pares the controller down to the basic needs. 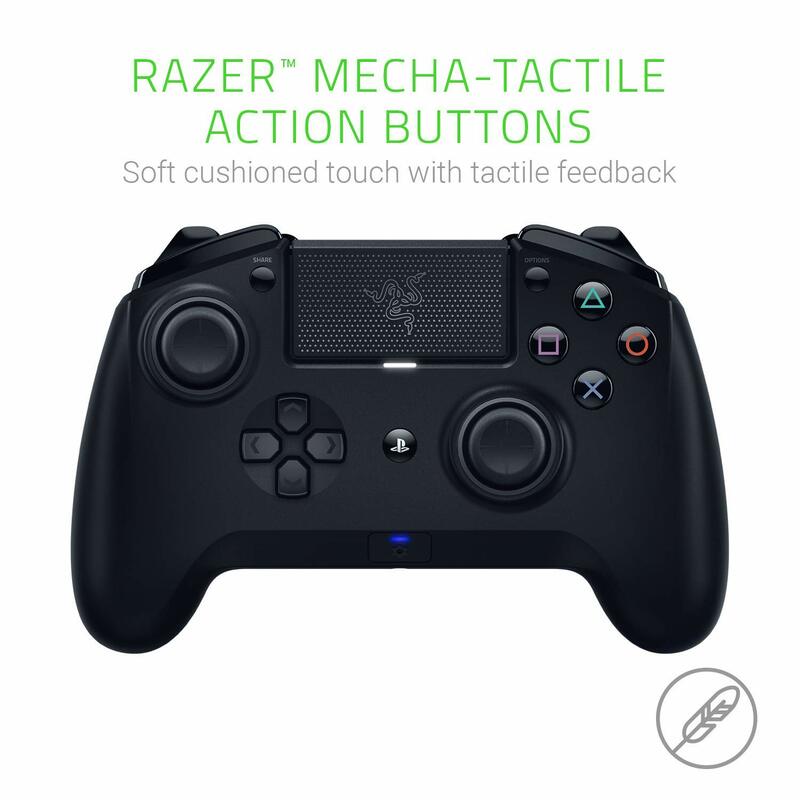 Using an Xbox One-style layout, preferred by tournament players, and eschewing the Chroma lighting, the Raiju TE still features the Android or iOS control app, keeping the controller set up just the way you need it for those clutch moments in a match. Want a mouse that does it all but doesn’t break the bank? Then the Abyssus Essential is your baby. A native 7200 DPI sensor is nestled in an ambidextrous ergonomic chassis, with 3 Hyperesponse buttons, and full Razer Chroma RGB lighting. This is something I haven’t seen before. For someone looking to get into gaming, everything half decent is gonna cost them a bit of cash. 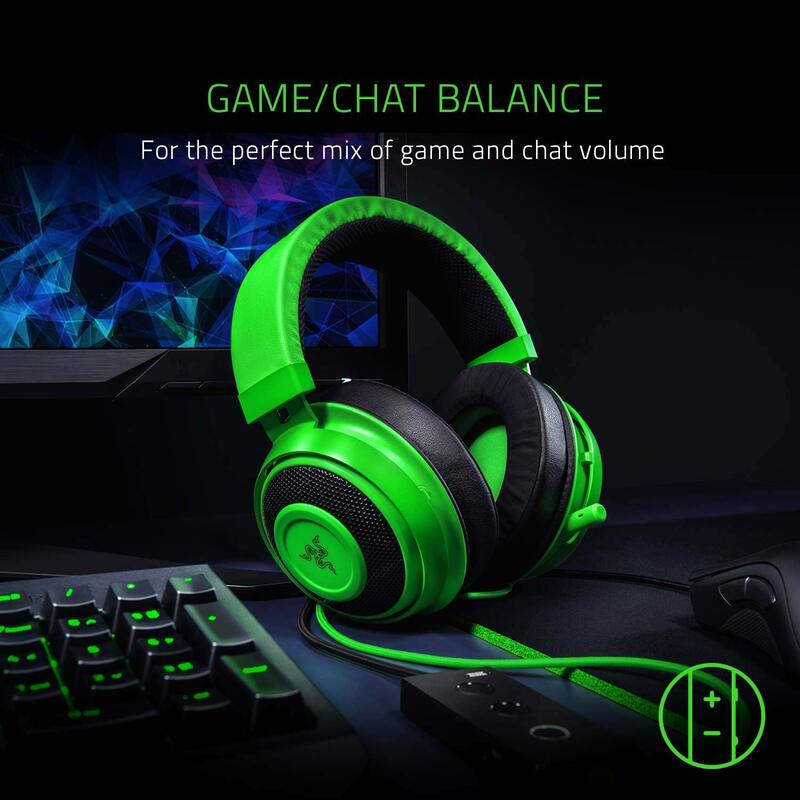 So the guys at Razer have put together an Entry level set, that won’t break the bank. This is ideal for those looking to upgrade from the standard PC line keyboard, perfect for the new PC gamer or for someone looking for a budget-friendly gift for Christmas. 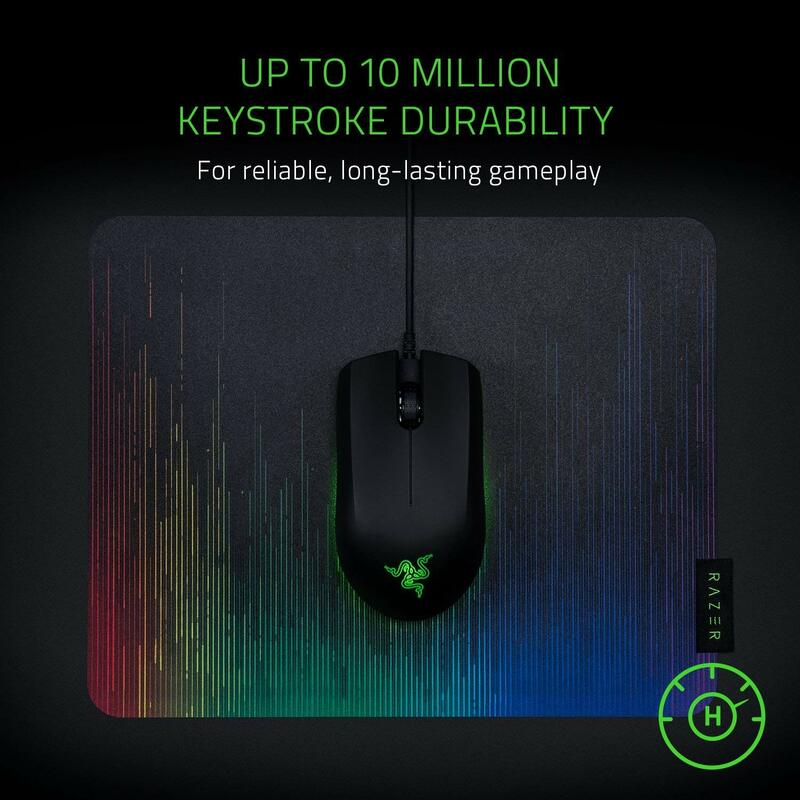 I think this is a really good idea, it’s nice to see Razer thinking of the “little” guys in gaming.